Applications of noncausal Guass Markov random processes in multidimensional image processing (A. Asif). Direct detection devices for electron microscopy (A.R. Faruqi). Exploring third-order chromatic aberrations of electron lenses with computer algebra (Zhixiong Liu). Multivalued diffusion PDEs for image regularization, (D. Tschumperlé, R. Deriche). Advances in Imaging and Electron Physics merges two long-running serials-Advances in Electronics and Electron Physics and Advances in Optical and Electron Microscopy. 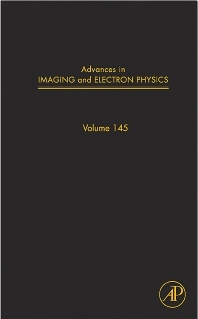 This series features extended articles on the physics of electron devices (especially semiconductor devices), particle optics at high and low energies, microlithography, image science and digital image processing, electromagnetic wave propagation, electron microscopy, and the computing methods used in all these domains. Physicists, electrical engineers and applied mathematicians in all branches of image processing and microscopy as well as electron physics in general.